Just in time for all the Holiday Parties you will be attending this year, these super simple and adorable Christmas Tree Appetizers are a for-sure crowd pleaser! 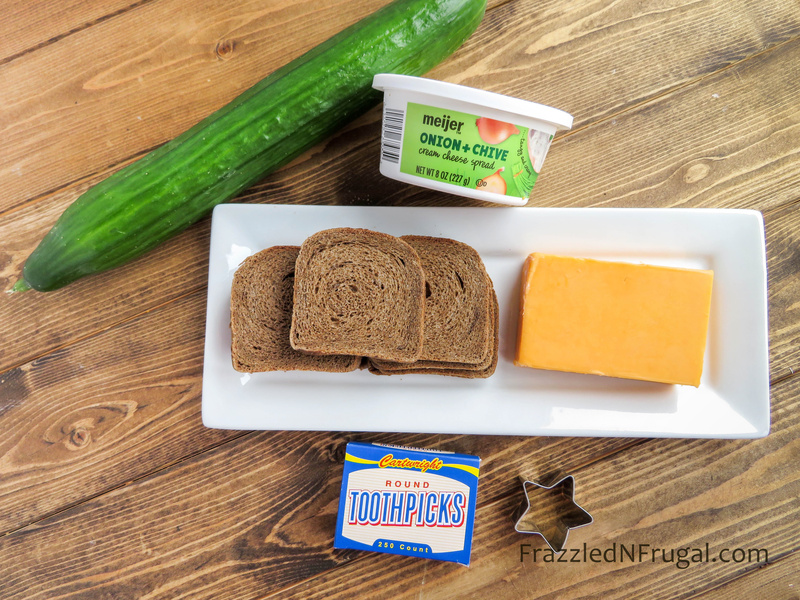 This easy Christmas appetizer idea only take about 30 minutes to prepare once you have assembled all the ingredients and, since there are only four ingredients total, that’s easy to accomplish too! 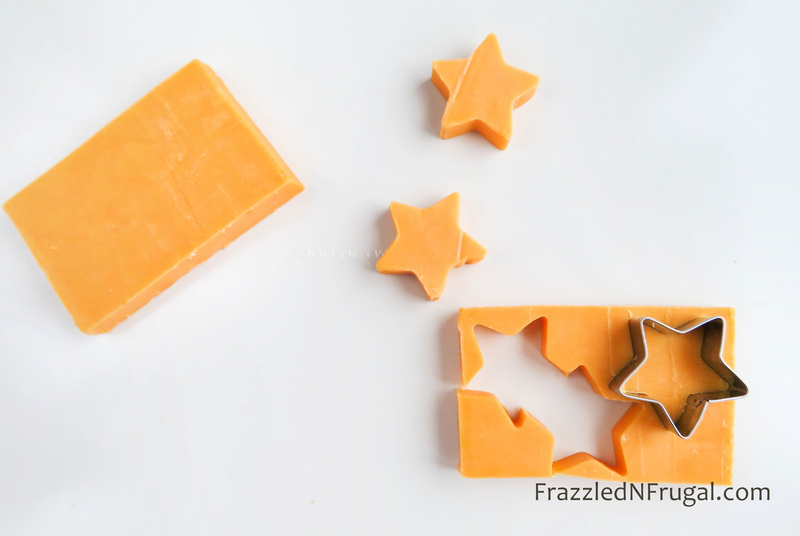 We love that these little trees look so festive and they’re colorful too thanks to the green of the cucumber and the bright orange cheddar star. We used an English cucumber for our trees since they tend to be much more straight and long than your “average” cucumber. You can find them in the produce section of most any supermarket. 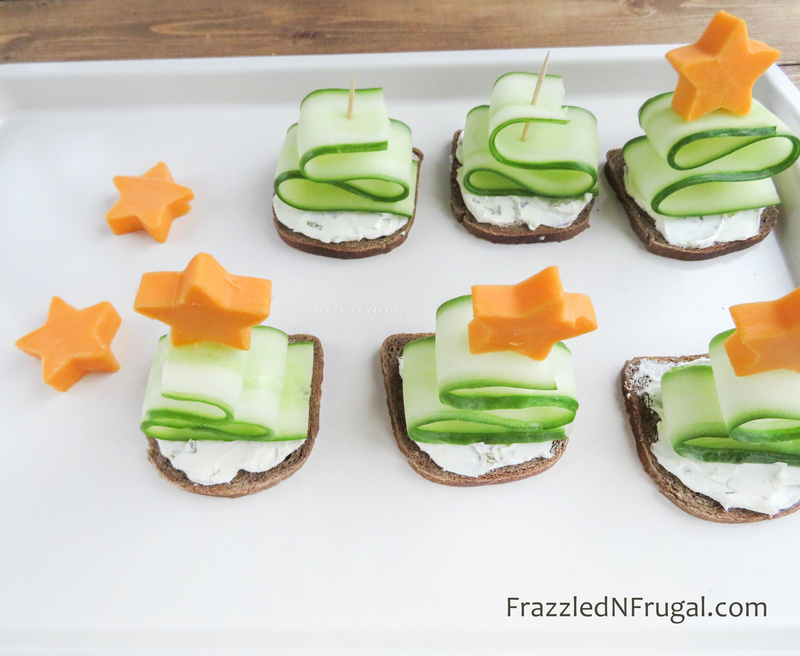 Let’s get started on this fun and easy Christmas appetizer! 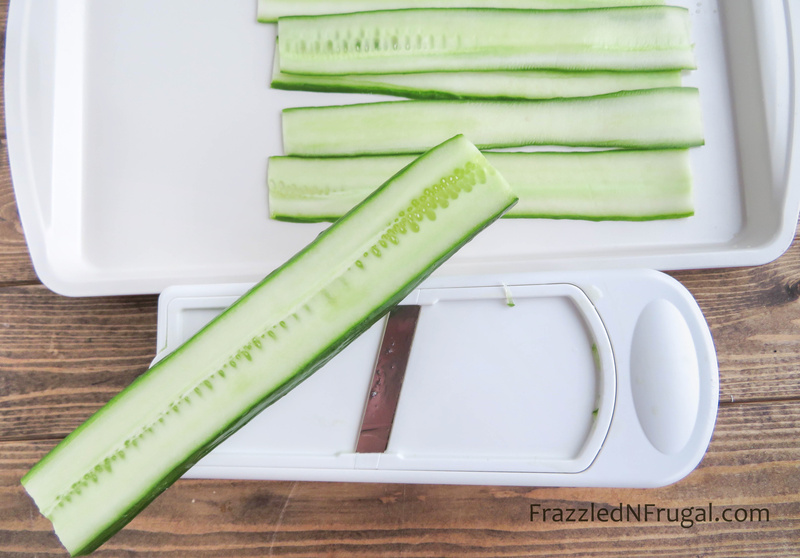 Wash cucumber, then cut off each end. Slice long ways a very thin slice. You can use a knife or a slicer. 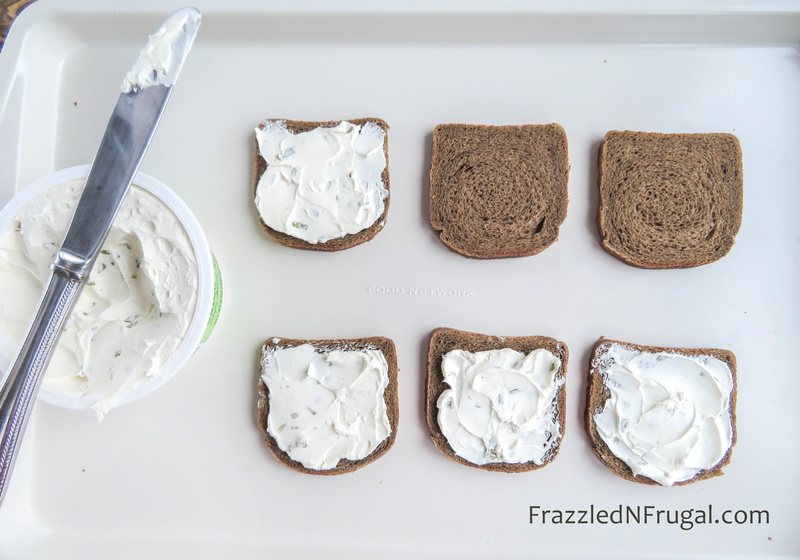 Spread the onion & chive cream cheese over each piece of bread. Make sure it has a nice thick coat. 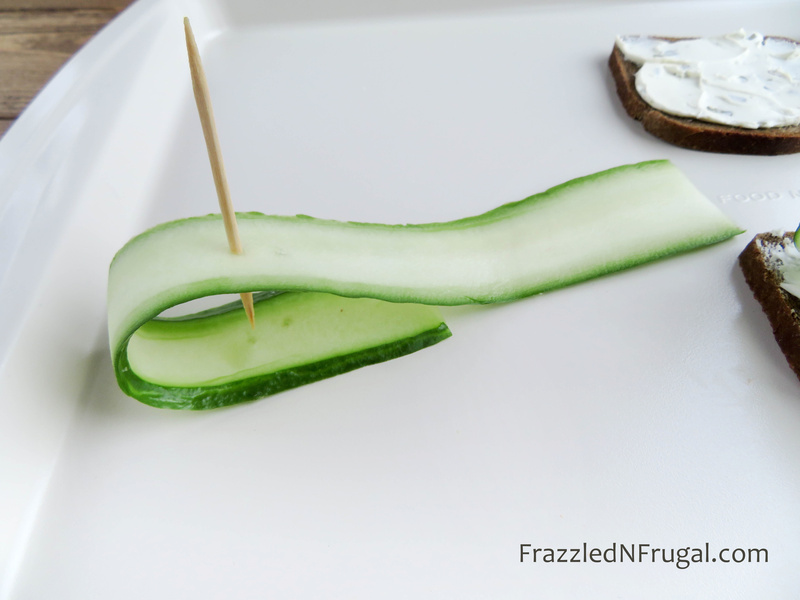 Now, take the cucumber slices and ribbon it over a toothpick. Go back and forth until you get to the end of the cucumber. Stick the bottom into the bread. Make sure you stick the toothpick in so it doesn’t fall over. Then, stick a cheese star on top of the toothpick. They’re ready to serve! Simple Christmas Tree Appetizers are your time saver, quite possibly your last minute throw together for holiday parties. What are some of your go to dishes to take to gatherings?